FLORENCE, Italy - A lawyer urged an Italian appeals court on Monday to convict Amanda Knox of murdering British student Meredith Kercher and denounced as "unbearable" that the American was soliciting donations in Kercher's memory. Francesco Maresca, in his closing arguments on behalf of the Kercher family in the third trial of Knox and co-defendant Raffaele Sollecito, urged the eight lay jurors on the panel of 10 to disregard publicity over the case as well as Knox's own statements, including her criticism of Italy's judicial system. "She has become a well-known person. You know she signed contracts for millions of dollars for her book. She has someone who takes care of her public relations. She has a personal website where she invites people to collect donations in the memory of the victim, Meredith Kercher, which is an unbearable contradiction for the family," Maresca said. He said the world's attention has focused on Knox, while "the victim has fallen into oblivion, to the immense pain of the Kercher family." Knox is soliciting donations on her website for her defense as well as a separate, as yet-unspecified project in Kercher's memory. 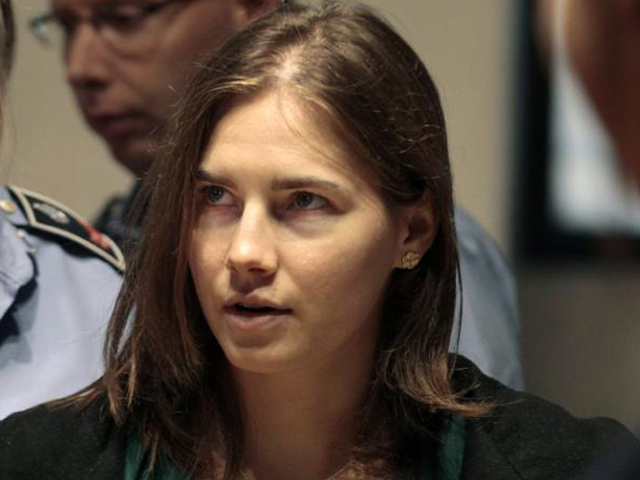 Knox's lawyer, Carlo Dalla Vedova, said after the hearing that she was doing so out of the friendship she felt for Kercher, and that the criticism of her actions was irrelevant to the case. Maresca also urged the court to disregard Sollecito's statement to the court last month professing his innocence, noting that he had "just returned from a vacation in Santo Domingo, where he is again in these days, as we are here hearing such an important trial against him." The case was being tried for a third time after Italy's highest court vacated a 2011 appellate court ruling throwing out their initial murder convictions. The high court's scathing opinion tore apart the appellate court's decision to free the pair as full of errors and contradictions. Maresca urged the Florence appeals court to find Knox and Sollecito guilty of Kercher's murder, backing the state prosecutor's demands for sentences of 26 years for the murder and a four-year sentence for Knox for slander - up from the three years already confirmed by Italy's highest court. Maresca blasted the ruling overturning the convictions, calling it "a rundown shack razed to the ground by the high court," and said the defendants' alibis "were all failed and false." He also tore into the expert DNA testimony on the appellate level, saying the first court's finding that Kercher's DNA was on the presumed murder weapon stands, that there was no contamination of DNA attributed to Sollecito on Kercher's bra clip. Maresca identified what he called two pivotal arguments in the case against Knox and Sollecito: Knox's false accusation against a Congo-born bar owner and a staged robbery, both of which Maresca said were aimed at sidetracking the investigation. Knox's defense team has argued that she pointed the finger at the bar owner under pressure from police. She is appealing the slander conviction to the European Court of Human Rights. The Kercher family's legal team argued that the killing could not have been carried out only by Guede, reminding the court that Italy's highest court ruled that he had not acted alone. Maresca also argued that it would not have been possible for one person to inflict the kind of wounds that Kercher suffered: 43 in all, including three "devastating" cuts to the neck. The other wounds were aimed at threatening the British student, and were found on her face, eyes, mouth, gums and teeth. He argued that two knives were used, the kitchen knife found at Sollecito's apartment that is the presumed to be the murder weapon, and a smaller knife. No one from Kercher's family traveled to Italy for the closing arguments, but Maresca said her sister and maybe a brother would come for the verdict, expected in January. While the defense has argued that neither Knox nor Sollecito had a motive for killing Kercher, the family's lawyers said that the lack of motive "is irrelevant." Another Kercher family lawyer, Vieri Fabiani, said Knox knew particulars about the crime before they were made public "because she was present." "It is not an automatic proof the fact that Knox knew the murderer was black, or that the victim screamed loudly, or that her throat was slit, or that blood was all over the room," Fabiani said. "But let's put them all together." The trial continues Tuesday with Knox's defense team closing. Sollecito's defense makes its arguments on Jan. 9.